Prince George, B.C. – At least two Cariboo families displaced by wildfires are doing their best to remain upbeat as wildfires rage on in their home communities. 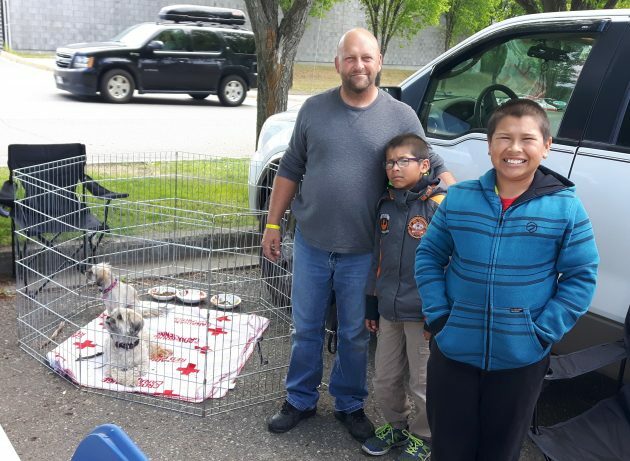 Paul Austin, his wife, four children and numerous pets, have been camping inside the parking lot at the College of New Caledonia since Saturday night. He says they weren’t evacuated but the smoky conditions forced them to leave. Friends back home are telling him things are only getting worse. In fact, he says they could see the Fox Mountain fire from their living room window before they left – yet he remains philosophical about the whole situation. A trucker by trade, he says his biggest concern is getting back to work. 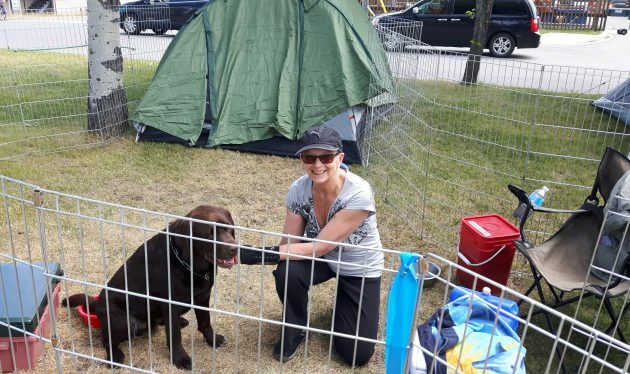 Camped out beside the Austin’s is Brenda Leonew of Lac La Hache along with her two dogs. She too arrived Saturday night, leaving behind her husband – who’s fighting wildfires – not to mention her rented lake-side home. “I was packed Friday night and I hummed and hawed Saturday before I decided to leave. It took me six hours to get here with the dogs. I stopped a few times but the highway was eerily quiet with no traffic headed south,” she says. If the evacuation order continues much longer, she plans on heading further north to stay with family. I took 2 families from the 100 mile house area out for lunch today it wasn’t a big thing but it meant a lot to the families as one of the women told me it was a small act of kindness that meant a lot to them. The one thing the adults told me is they are appreciative of people but sending love or prayers is just words its not helping put out fires, getting them home or helping them with their kids. It meant more to them that I took them for a hot meal and gave them an ear. I spent the day at CNC volunteering today. People are stressed out, but in decent spirits so far. They are quite appreciative of all the volunteers. And seeing so many people down there volunteering to do whatever they can is heartwarming. Keep up the good work, Prince George.